Nathalie Rougier holds a Licence, Maîtrise and DEA in Social Psychology from the Université Blaise Pascal, Clermont-Ferrand, France, and a PhD in Psychology from the University of Ulster, Northern Ireland. Between 2010 and 2013 she was researcher for the ACCEPT Pluralism Project in the School of Politics and International Relations, University College Dublin. 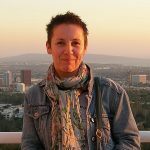 Previously she has been research co-ordinator for the ITENIBA Project (Intergenerational Transmission and Ethno-National Identity in the Border Area) at the UCD Geary Institute and has collaborated to two projects at the Commission for Migration and Integration Research (KMI) in Vienna, Austria. Her main research interests revolve around issues of identity construal and (re)definition, over time and across socio-cultural contexts; inter-group and intercultural relations; integration and belonging; and prejudice and discrimination.